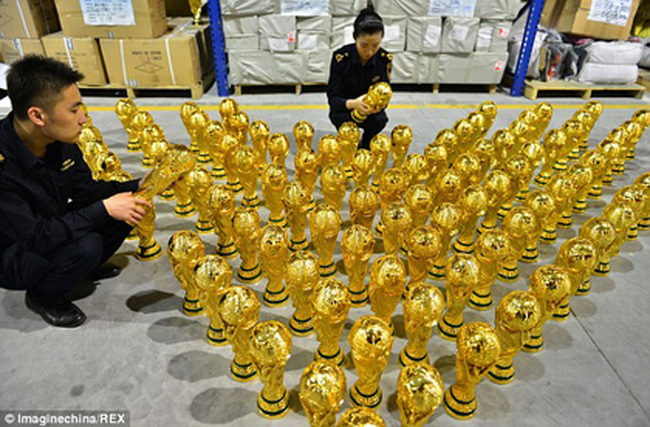 Chinese customs officers have stopped hundreds of thousands of fake FIFA World Cup products from leaving the country as counterfeiters tried to make money from the international sporting event. Counterfeit goods, mainly footballs and sports clothing, were seized by Customs in Guangzhou, Shanghai and Yiwu, the world’s biggest wholesale market, ahead of the start of the World Cup in Russia. China News Service reported that Guangzhou Customs impounded more than 7,800 fake FIFA products, all from one manufacturer and destined for Tanzania. Huangpu Customs, also in Guangzhou, seized 4,500 World Cup-Adidas soccer shirts mixed with a shipment of unbranded shirts. In Shanghai, Customs officials have discovered more than 130,000 items that allegedly infringed on the intellectual property rights of the World Cup. In one major case, nearly 2,500 “Russia 2018” footballs made in Nanjing were seized in mid-April before they could be shipped to Columbia through Yangshan port in Shanghai. Hundreds of knock-off footballs were also impounded in Yiwu, Zhejiang province, in what was the 12th Fifa IPR raid by Hangzhou Customs this year. The dozen cases netted roughly 32,000 counterfeits combined. World Cup-related products are among the bestsellers on Yiwugou.com, the Yiwu commodities market’s online platform. More than 100 million of the top four products, all small flags of finalists in the event, have been sold in the past month. Chinese companies are also spending big on the event, signing up as either partners, sponsors or regional supporters, including Wanda Group, Mengniu, Hisense and Vivo, the South China Morning Post reports. China’s State Intellectual Property Office (SIPO) and the European Patent Office (EPO) have signed a new comprehensive strategic partnership agreement on November 23 with the aim of strengthening cooperation between the two offices, providing better services for global intellectual property users and contributing to improvements in the world’s IP system. 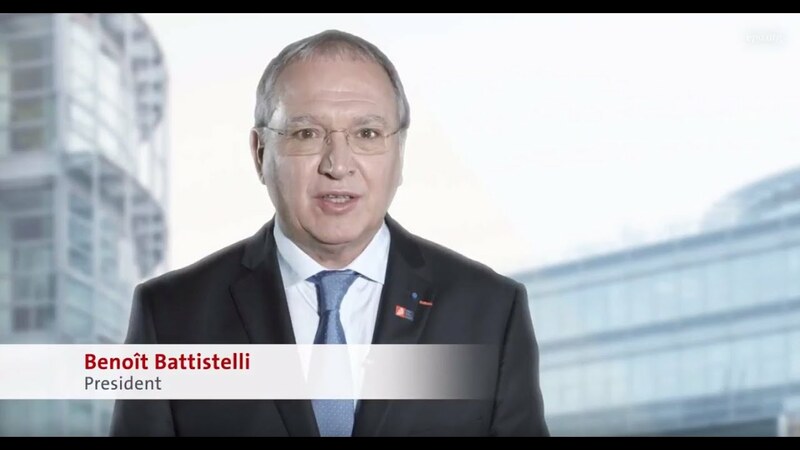 The partnership between the two offices evolved from a technical to a strategic one, EPO President Benoit Battistelli said in Beijing. SIPO, the EPO, the Japan Patent Office, the Korean Intellectual Property Office and the United States Patent and Trademark Office – known as the IP5 in the industry – are the world’s five largest patent administrations, representing roughly 85% of global patent applications. More than 2,000 Chinese patent examiners and other related professionals have been trained at the EPO, and the EPO has helped SIPO use tools in patent search and examination. SIPO and the EPO have developed “common positions” in their joint effort to simplify and improve the patent granting procedure. One example is the Global Dossier, a public service that enables users to monitor via a single online source how a family of patent applications is progressing at the IP5 offices. EPO and SIPO have been the first two offices to implement the Global Dossier. Last year, Chinese companies applied for 7,150 patents at the EPO, accounting for about 5% of the total applications and ranking No 6 among all origins. The number showed the strongest growth of 24.8% among the top 10 leading countries at the EPO, making China “the main driver of growth in applications at the EPO”, according to the office’s 2016 annual report. With 2,390 applications, Chinese IT giant Huawei moved two places ahead to become the second-largest patent applicant at the EPO last year, only after Philips. Also last year, Chinese companies were granted 2,513 patents from the EPO, up 78.7%, the China Daily reports. The Unitary Patent system will be applied next year, making it possible to get patent protections in 26 European Union members by submitting a single request to the EPO. It will not only simplify patent granting procedures, but also cut the application costs by 70%. The Chinese government hit back at U.S. plans to investigate intellectual property violations by China, as it urged to protect China’s bullet train technology from theft. Developing countries had “spied on and stolen” China’s fast-train technology to get the competitive edge at the expense of Chinese companies, a commentary in the Procuratorial Daily noted, without naming the countries. It added that China had developed its own technology to build an extensive high-speed railway network, but had failed to adequately protect its know-how. 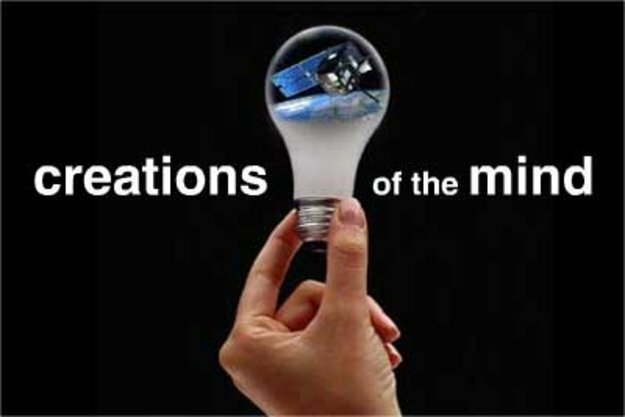 China should follow the lead of Western countries by securing patents when it developed new technology, it said. Starting in 2004, China got its fast-rail know-how off the ground by setting up joint ventures with market leaders from Germany, France and Japan. The foreign partners signed technology transfer contracts with the Chinese government, giving them access to the vast Chinese market. But years later, after helping to train the Chinese engineers and develop a local supply chain, the foreign companies said they had lost out – and their former partners were now rivals. They accused the Chinese companies of breaching contracts that had limited the use of their technology to China – with those firms now trying to sell Chinese technology abroad – and said that they had replicated rather than innovated. Lu Xiang, Researcher with the Chinese Academy of Social Sciences (CASS), said China had improved in the area of intellectual property protection and it would be willing to negotiate with the U.S. if it provided evidence of forced technology transfers, the South China Morning Post reports. Alibaba unveiled a quick response platform for handling reports of counterfeit goods, aiming to boost the protection of intellectual property rights (IPRs). Complaints about knockoffs from copyright and patent holders that are filed through the e-commerce company’s new online express channel will be handled within 24 hours, instead of three or four days, as was normal before. “We’ve streamlined our work system and improved efficiency,” said Zheng Junfang, Chief Platform Governance Officer. “What we want is to provide better services for protecting IP rights more quickly for the rights holders.” During a one-month pilot program that began in June, 96% of complaints about fake products received a response within a day. Of those, 83% of the links to fake products were deleted. Rights holders can register accounts on the platform free and submit reports of fake products found on the company’s online shopping sites, including Tmall and Taobao, Zheng said. “All the services are available not only in Chinese and English, but also in French, Russian and Spanish,” she said. “Alibaba’s quick-response platform helps us find information about fake product sellers or producers in a timely manner, and provides clues to police officers, which can protect our brand and reduce our economic losses,” Zhang Lin, Manager of the China branch of the German Association of the Automotive Industry said. But Xie Huijia, Associate Professor specializing in IPR protection at the South China University of Technology, said it is not enough only to accelerate the handling of fake product claims: “More important is how accurate the fight is.” “To delete links of online shops selling fake products, the company has to compare the goods provided by sellers and the brand owners, but I don’t think it’s easy to verify whether the IP rights were infringed or not,” he said. “Even courts often need several months to identify infringement.” Alibaba in June said that it has used big-data technology to help it detect more than 61,000 individuals or groups suspected of operating shops that sell fake goods on Taobao. It has also detected 1,640 factories that produce counterfeit goods and supply them to online dealers, the China Daily reports.